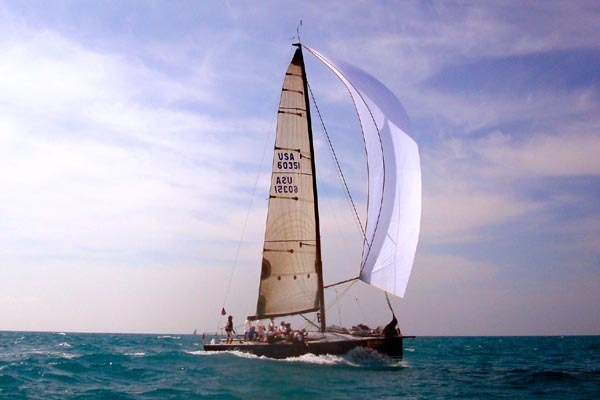 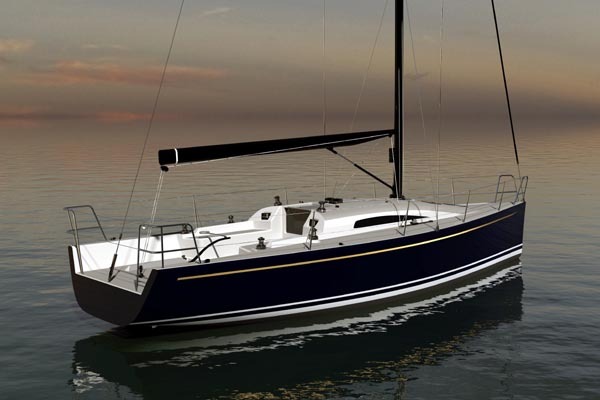 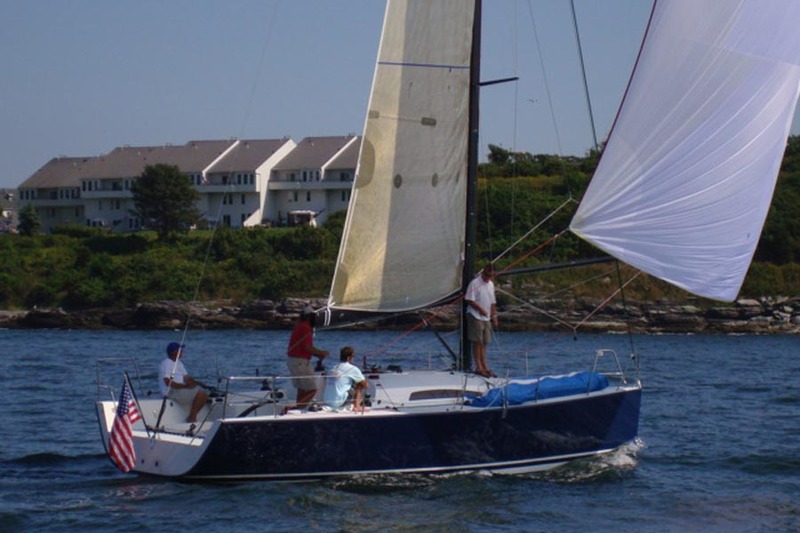 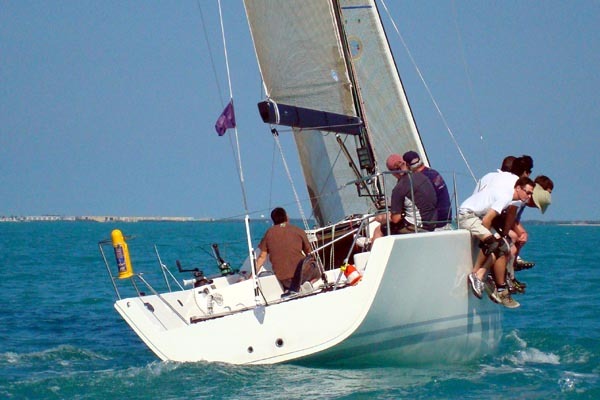 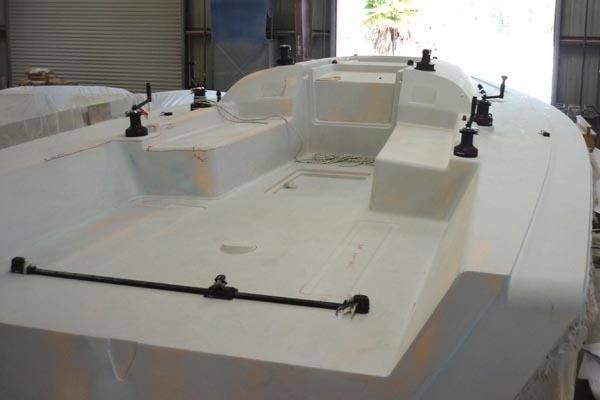 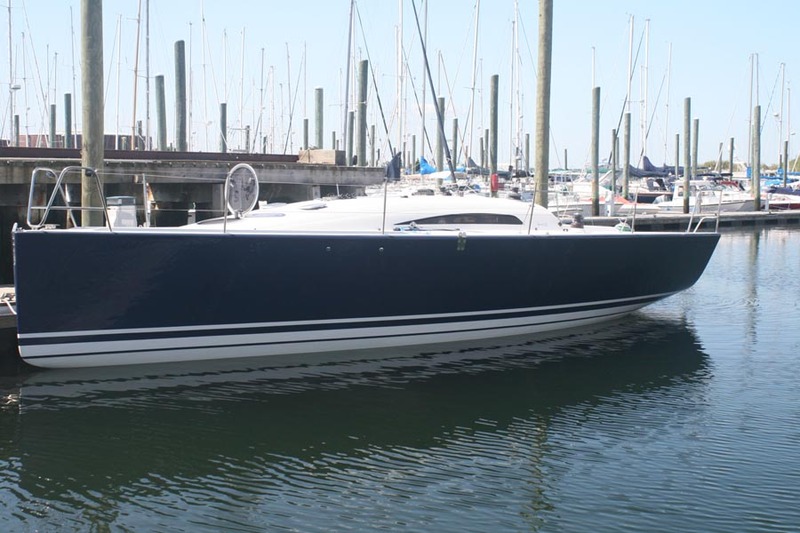 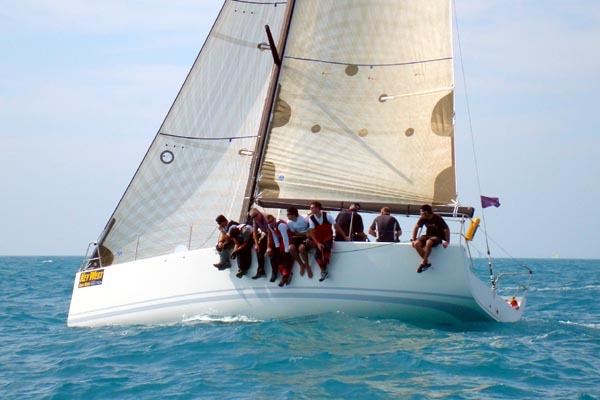 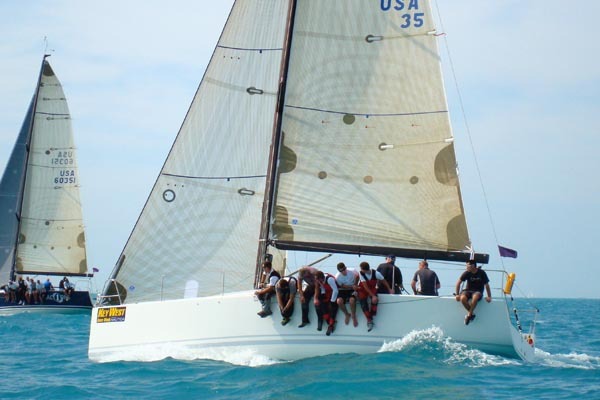 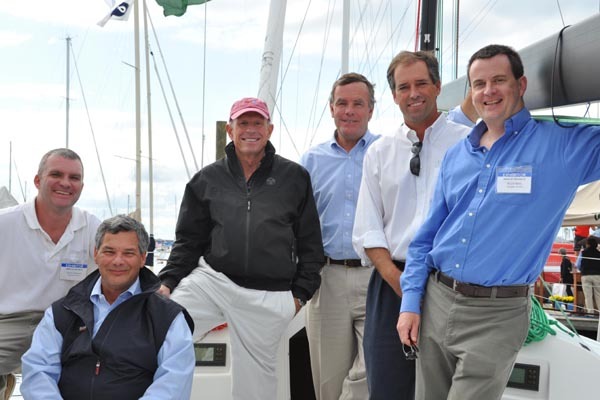 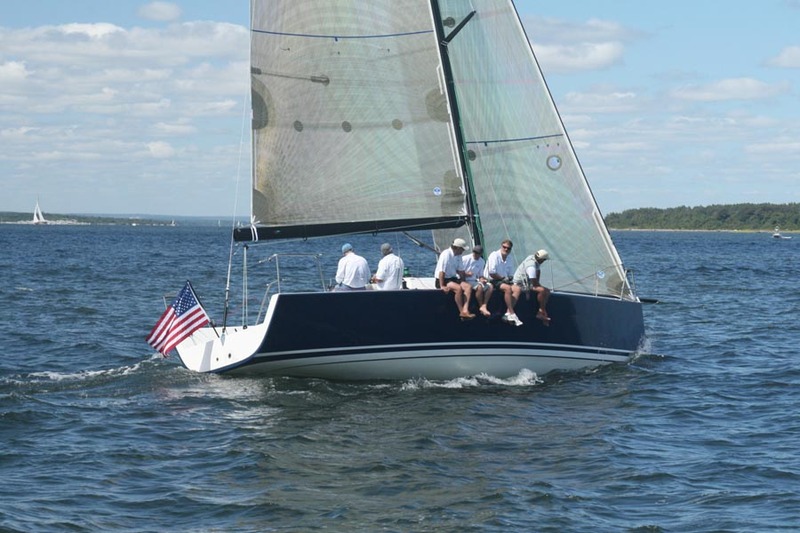 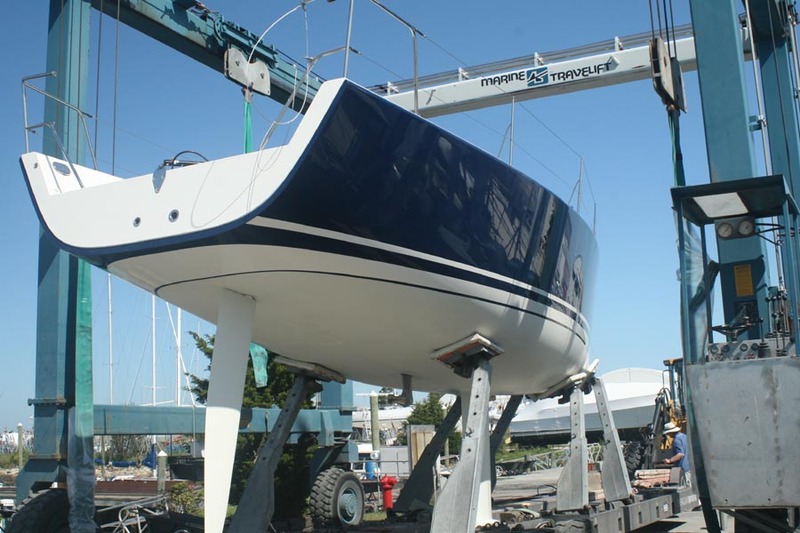 Smaller sister of Summit 40 with the same speed, space, and style, named Sailing World 2010 IRC Boat of the Year. 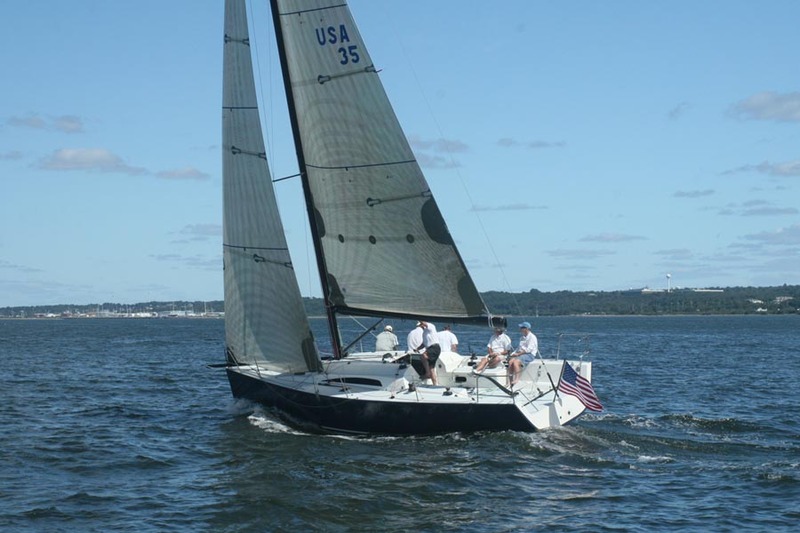 Winner of Sailing World’s 2010 IRC Race Boat of the Year, the Summit 35 is our latest dual-purpose IRC Cruiser-Racer design for the US-based performance yachts firm of Summit Yachts. 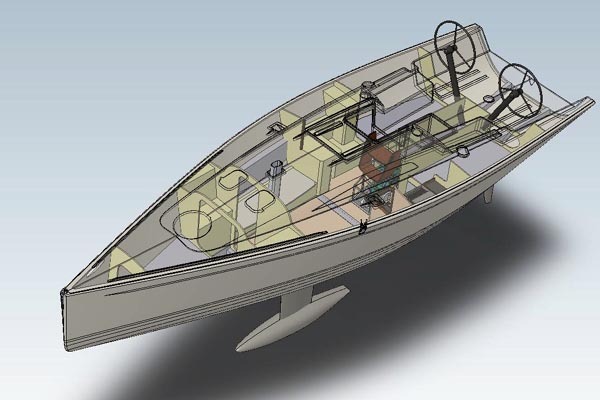 A development of the King 40 design we prepared for Summit last year, it retains the key styling and performance characteristics that made the 2009 Boat of the Year King 40 such a success while integrating the lessons learned from our ongong CFD research and the feedback from our custom IRC designs. 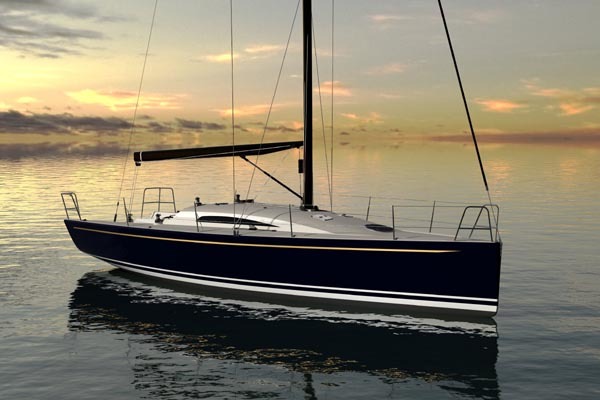 The Summit 35 is designed to excel under IRC by combining the stability and power of a large sailplan and deep bulb keel with the low drag hullshape that permits strong all-around performance. 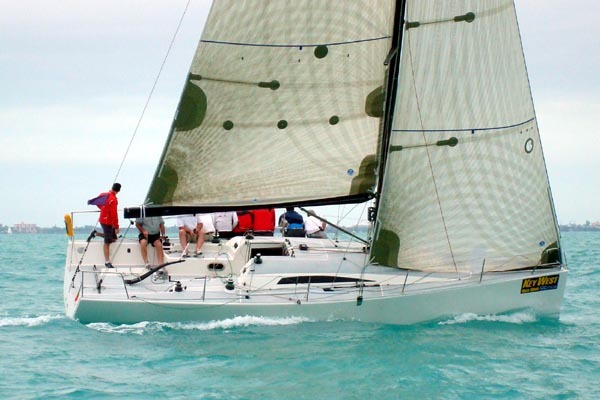 This allows sparkling light airs performance in conjunction with the optional retracting sprit, as well as offering enough stability to excel in a breeze. 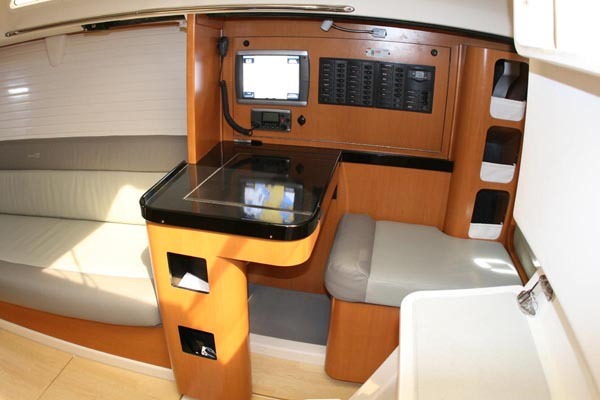 The Summit 35 builds on the Mills Design pattern of ergonomic dual-purpose deck layouts with race-friendly systems to ensure that both racing crew and family friends can enjoy leisure and competition on the Summit 35. 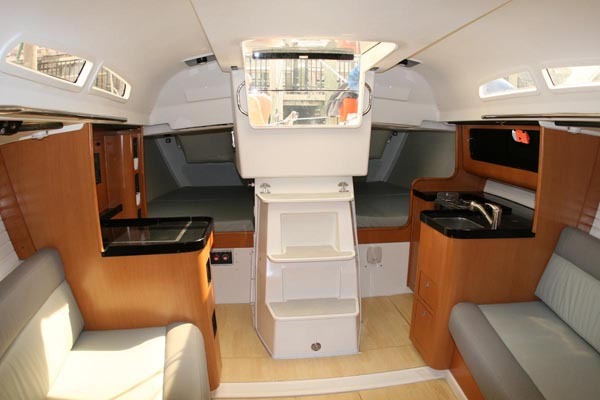 Below the open and comfortable interior boasts three double berths, standing headroom, and a spacious galley. 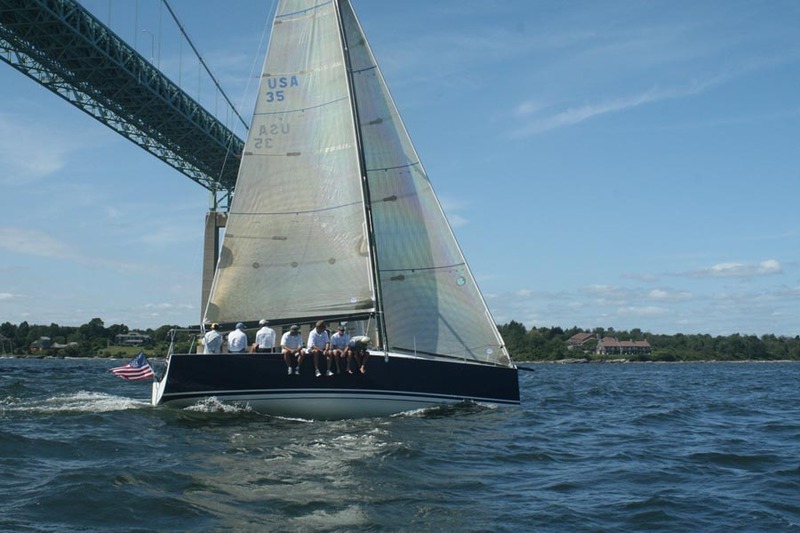 The two spreader rig supports masthead spinnakers flown either from the standard retracting sprit or the optional over-length carbon spinnaker pole. 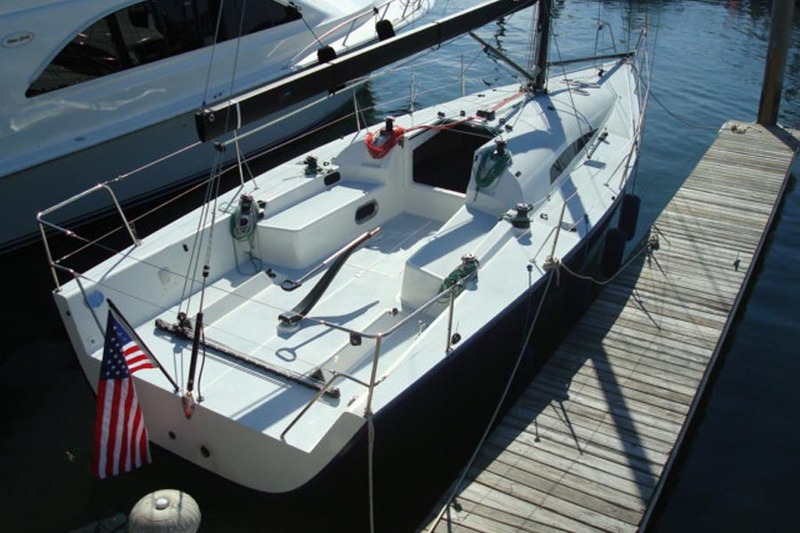 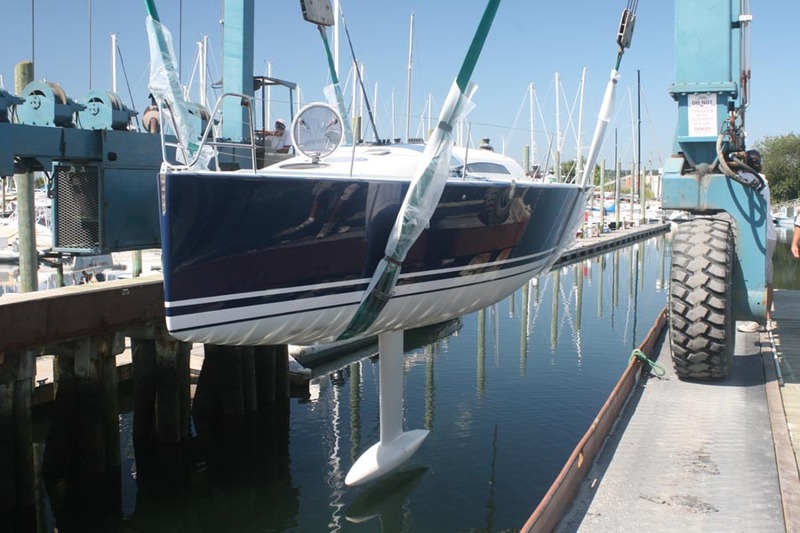 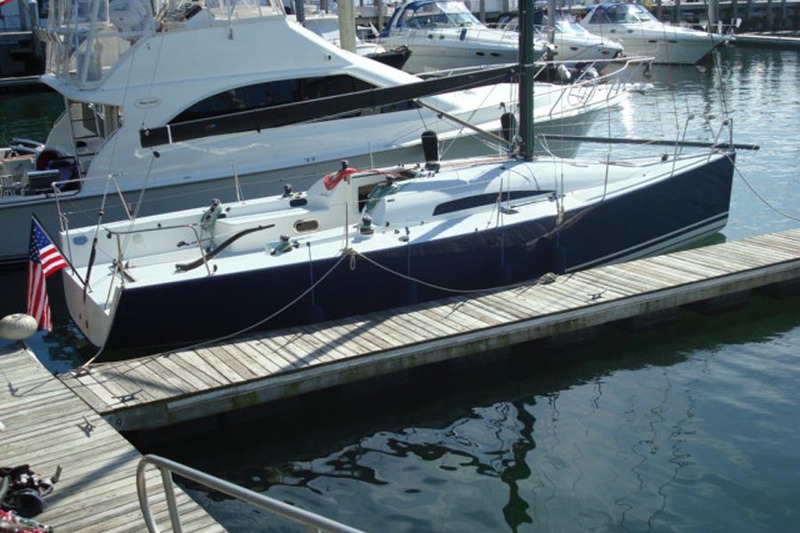 This simple keel-stepped rig configuration is controlled by a standard integral hydraulic backstay adjuster, and allows non-overlapping jibs for the optimum combination of performance and ease of use. 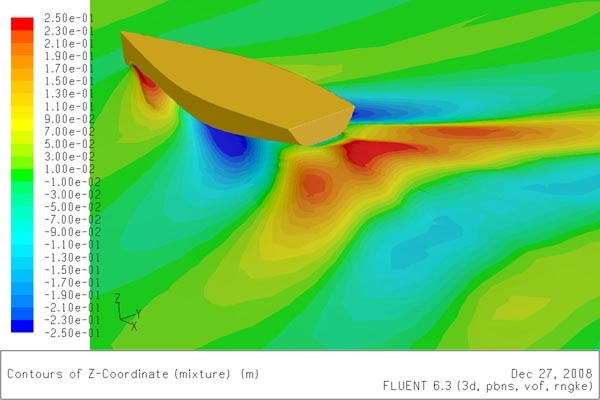 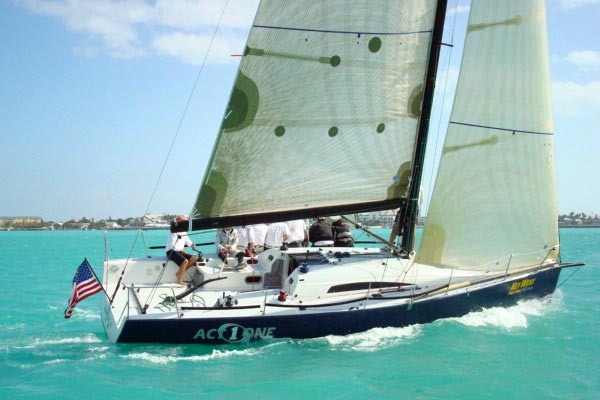 Alloy is specified as standard as being most competitive in lighter conditions, with a carbon option for campaigns sailing in higher than average wind conditions. 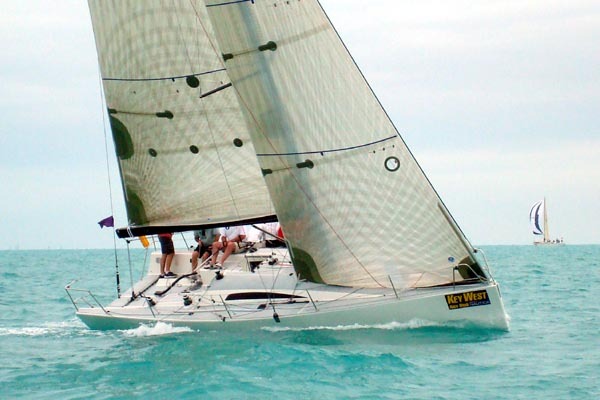 Check out the excellent Sailing Magazine test and review.